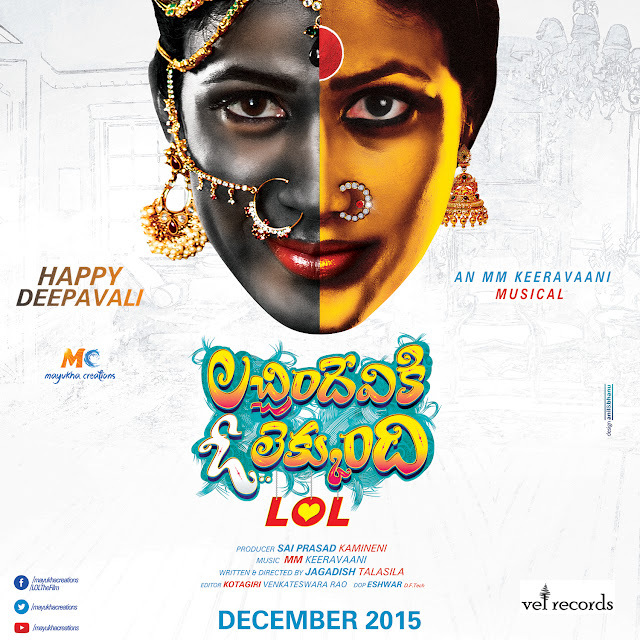 Lachimdeviki O Lekkundi (LOL) Diwali Poster. Starring Lavanya Tripathi, Naveen Chandra and many more. Directed by Jagadish Talasila. Producer by Sai Prasad Kamineni. Music Composd by MM Keeravaani.